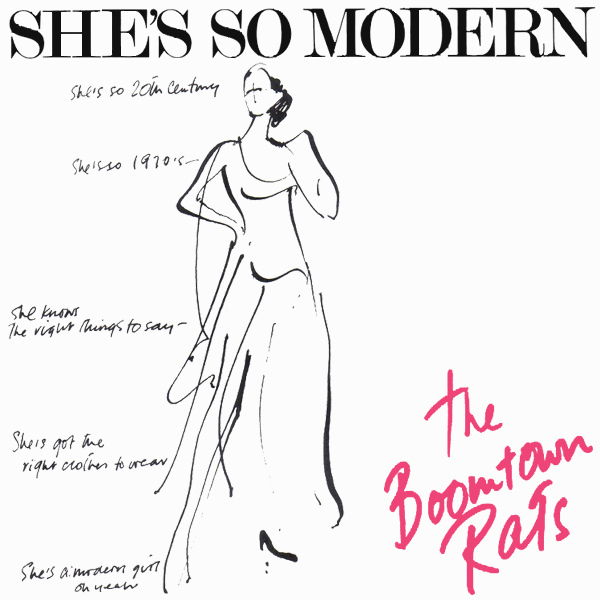 Infamous for not liking Mondays, the cover of The Boomtown Rats single She's So Modern indicates that the band also have odd ideas about what constitutes a modern woman. For them she's got the right clothes to wear, she knows the right things to say, and that is what makes her modern. For us, it's more to do with wearing a space-age outfit and, of course, the good thing about space-age outfits is just how skimpy they are. Boom!